It’s been one and half years since famous British sportscar manufacturer Bristol has announced a high-performance electric vehicle, and the wait might be over in just a few months. Acquired by Kamkorp Autokraft, part of the Frazer-Nash group, in 2011, Bristol Cars declared itself insolvent before the supercar rumors got any update, but it looks like the British company is almost ready to unveil its own electric vehicle. According to Autocar, Bristol’s new supercar will be an extended-range hybrid car with four electric motors, lithium-ion batteries, and a Wankel rotary engine for a peak output of over 400 HP. 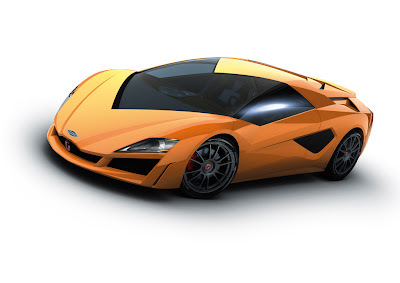 Rumor has it that the Bristol’s exterior design will be inspired by the Giugiaro Namir Hybrid Concept pictured above and it's expected to reach a top speed over 200 MPH. The long awaited Bristol electric supercar might be revealed at the 2013 Goodwood Festival of Speed in July, although further information is expected to surface anytime soon from the United Kingdom. Bristol Cars was founded in 1945 and its newest model, the Chrysler-engined Fighter, was introduced in 2004.